Photojournalism project showcasing the endangered Andean Mountain Cat with concrete goals to help its conservation. In the last blog post I kept mentioning “we” when talking about our journey to Andean Cat habitat. The simple reason: I was not alone. In fact, I was joined by what I think of as the Andean Cat power couple of Bolivia. Meet Juan Carlos Huaranca Ariste and Alejandra Rocio Torrez Tarqui. 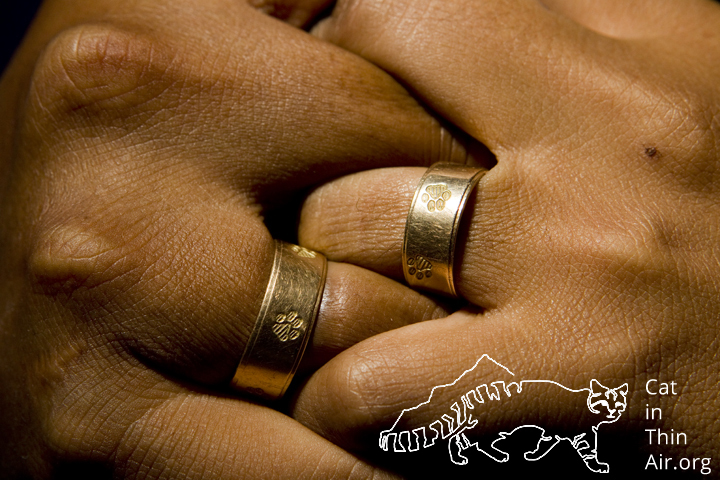 As a pair they cover every topic in regards to Andean Cat conservation. 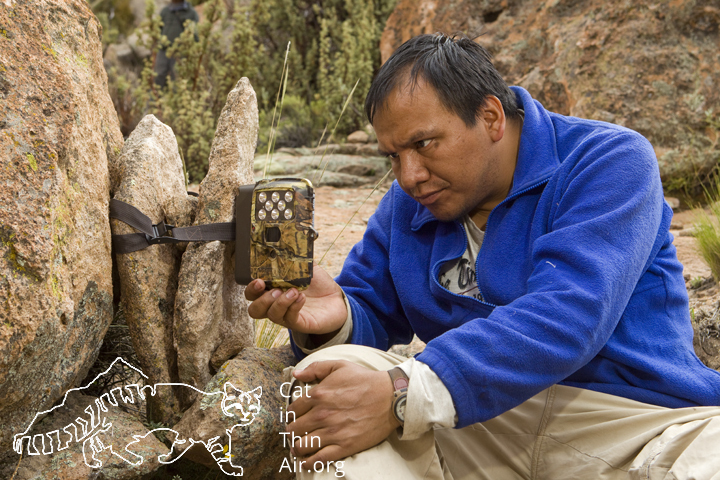 Juan Carlos is the principal Bolivian biologist conducting research on the wild cat. His main focus has been determining areas in which the Andean Cat has high densities and population numbers within the country. He talks to local people and deploys camera traps in the field. He has been doing so since 2004. More recently, he has also started to take on undergraduate students, advising them on their own Andean Cat studies. With this baseline ecological data, proper conservation actions can be drawn up for the species. Juan Carlos has been and still is the expert at acquiring that data in Bolivia. 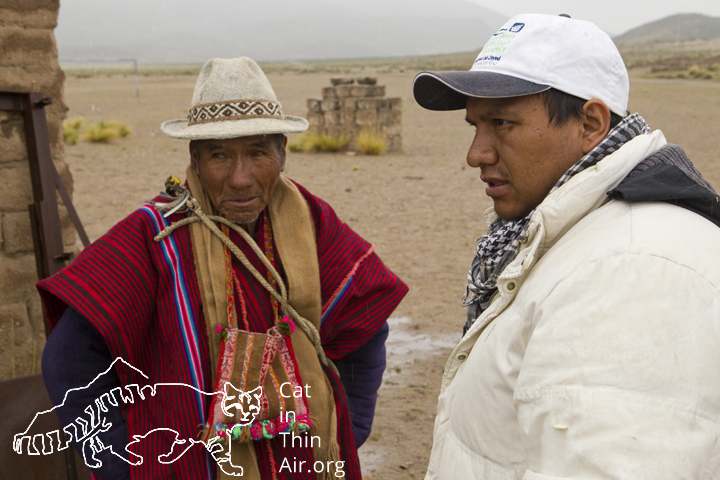 Its common for Juan Carlos to stop and to speak to locals about the Andean Cat! 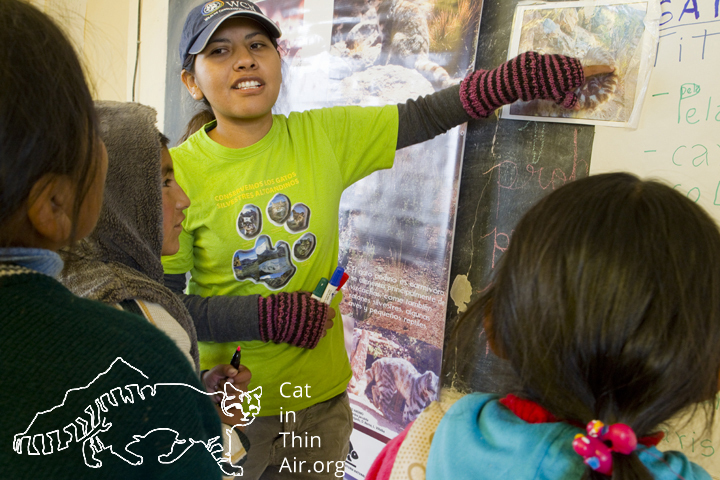 Alejandras focuses most of her attention on environmental education and outreach programs for the Andean Cat. She has been leading school workshops and activities in the country since 2008. 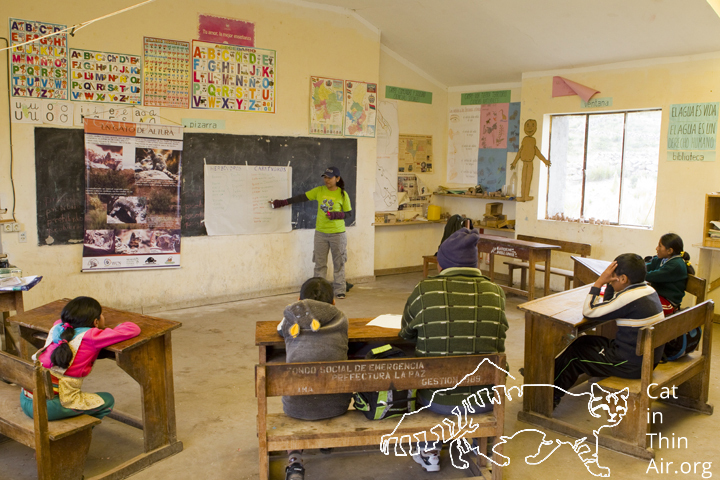 Having had the honor of spending a few weeks with her, its obvious her wheels are constantly turning as she comes up with additional lesson plans, activities, or ideas that will inspire the children she teaches to care about the Andean Mountain Cat. Pretty awesome! No class size is too small for Alejandra Rocio Torrez Tarqui! 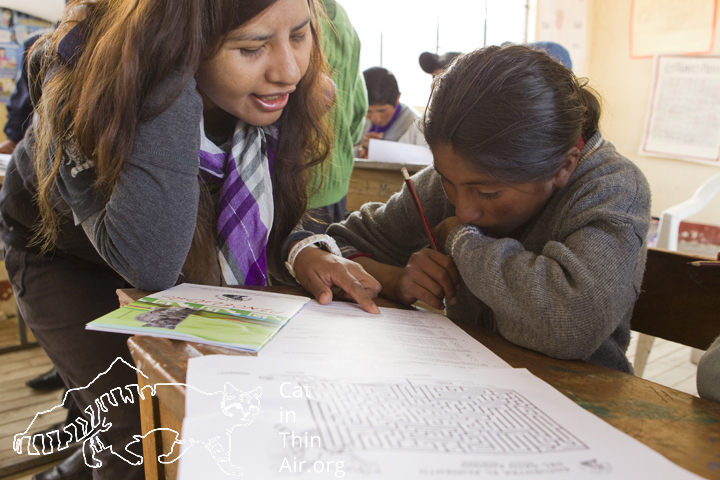 Alejandra helps a student with a quiz about Andean Cats, western Bolivia. Alejandra points out the distinct stripes of the Andean Cat’s tail, western Bolivia. 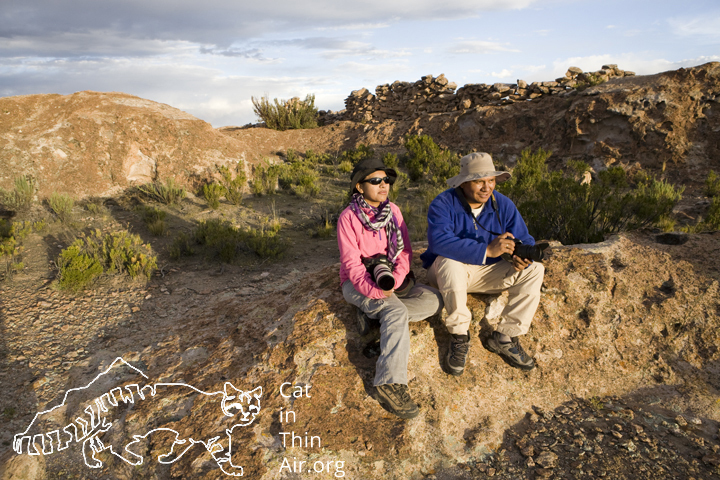 Both Alejandra and Juan Carlos’s work is incredibly crucial to the long term survival of the Andean Cat in Bolivia. Juan Carlos’s research is determining where the species still has a stronghold in the country. 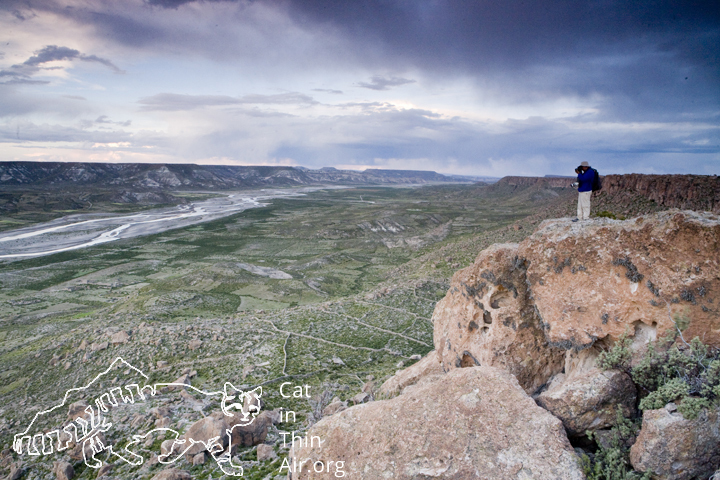 This information provides the necessary data to create new protected areas for the cat. Alejandra’s education programs shift the traditional thinking of the local people that the Andean Cat is a threat to their livestock. Even though they can be considered the best in the country at doing these jobs, they are not able to fulfill these roles full-time since the Andean Cat Alliance is simply not in a financial position to maintain them in that capacity. 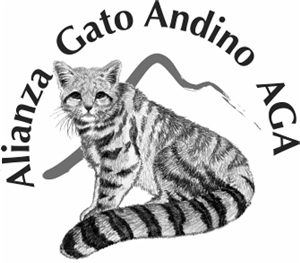 Let’s donate to the Andean Cat Alliance and help the Andean Cat by supporting Juan Carlos’ and Alejandra’s projects. Donate and help researchers study the species! By donating to the Andean Cat Alliance you are directly helping researchers find out more about the ecology of the species. Then, let us know, as we are trying to raise 5,000 for the alliance through the Cat in Thin Air project. Andean Cats have really great hearing abilities. Cat in Thin Air is a photojournalistic project showcasing the endangered Andean Mountain Cat with concrete goals to help its conservation.